This article provides information on how to turn the wireless antenna on and off on a Dell Computer. 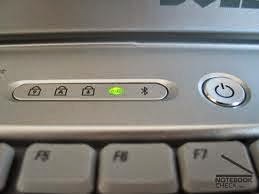 The wireless switch will be either a sliding switch on the left or right side edge of the computer, a key combination or single key, look for the wireless icon . Refer to (Table 1) for some of the more popular models of computers. Under the Customized section enter your computer's Service Tag to get a concise list of manuals for your specific product model. Click Submit to continue. Dell provides an automated tool to detect your Service Tag, click Detect My Product and follow the prompts. For information on how to locate where your computer's Service Tag is, refer to Dell eSupport page What is a Service Tag and how do I locate it?. Click the listing for the brand of computer you have. Click User's Guide or User's Manual.